Washington, NJ: Process equipment manufacturer The Witte Co., Washington, New Jersey (www.witte.com), offers optional vibration isolators on its line of vibrating process equipment. Available on the company’s vibrating fluid bed dryers, coolers, screeners, pellet classifiers, conveyors and other machinery, the vibration isolators permit installation on mezzanines, platforms, upper floors, in cleanrooms and in other sensitive locations by absorbing the vibrations at the source and inhibiting their transmission through the building structure. With this added flexibility, processing lines may be expanded or reconfigured and available space maximized without requiring costly expansion of the facility. 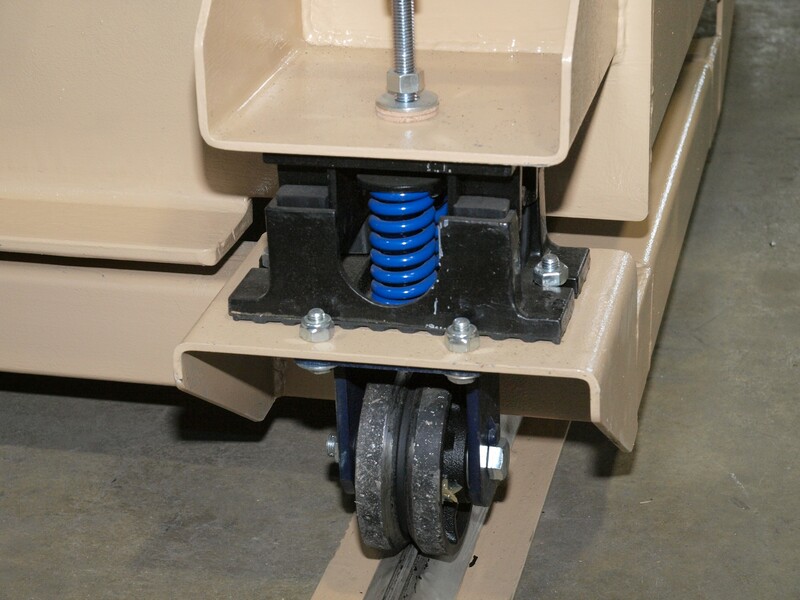 The Witte equipment is custom engineered for each installation with rubber vibration absorbers or tuned spring isolators based on the structural material, machine weight, natural and forcing frequencies and other factors. The vibration isolators may be retrofit on process equipment in the field.